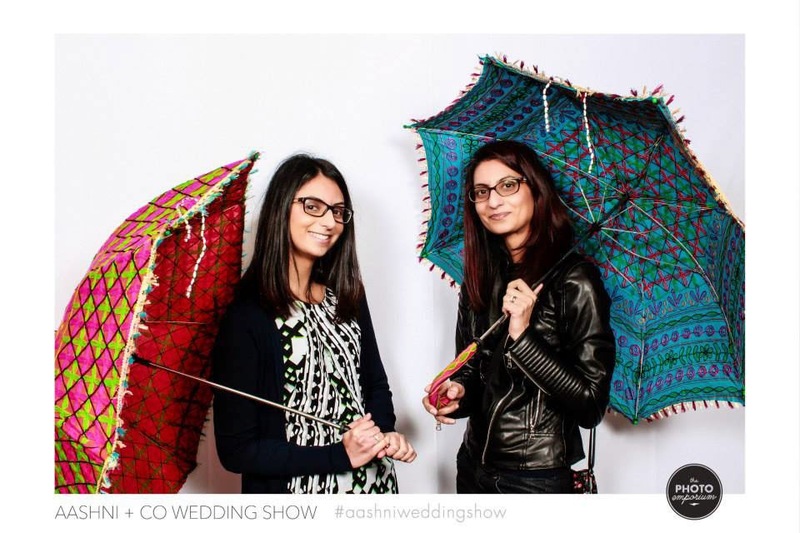 Two weeks ago, I visited London for the day to attend Aashni & Co's Wedding Show at the Dorchester Hotel. 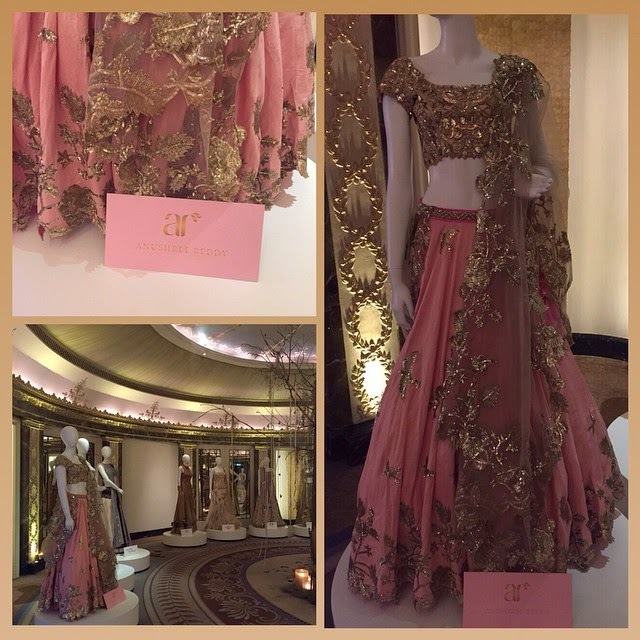 The event promised collections and appearances from some of India's top designers including Sabyasachi, Tarun Tahiliani and Manish Malhotra. Read on to see what I thought of the show and how my day went! After much deliberation on what to wear, followed by a two and half hours on the train from Manchester, I arrived with my sister at Euston Station where we met up with Ziggi from Ziggi Menswear and got a taxi to the Dorchester Hotel. The ballroom at the Dorchester was the perfect setting for this luxury wedding show, the exhibition started off with a display of wedding cakes, but to be honest I hardly noticed them - it was the the circular space displaying a single outfit from each designer that caught my eye! Once I'd marvelled at this initial display, it was time to go into the main display area. Each designer had their own display area with fitting rooms and there were lots of mirrors around the room. It was great to see the designers interacting with everyone, and I don't just mean the "high net worth individuals" who had been invited to the event, but ordinary people like me and this girl in this photo! Having said that, I did spot a few of what I can only assume was Aashni & Co's elite clients being escorted around the exhibition by guides. 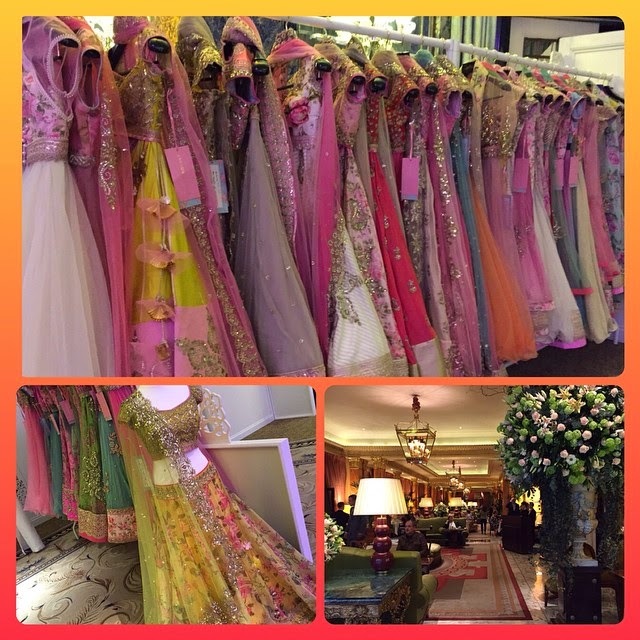 Aside from the collections by the designers I knew I'd love, the key standouts and suprised for me were the likes of Sonali Gupta and Anushree Reddy - both of these designers had really fun, bright and vibrant collections. 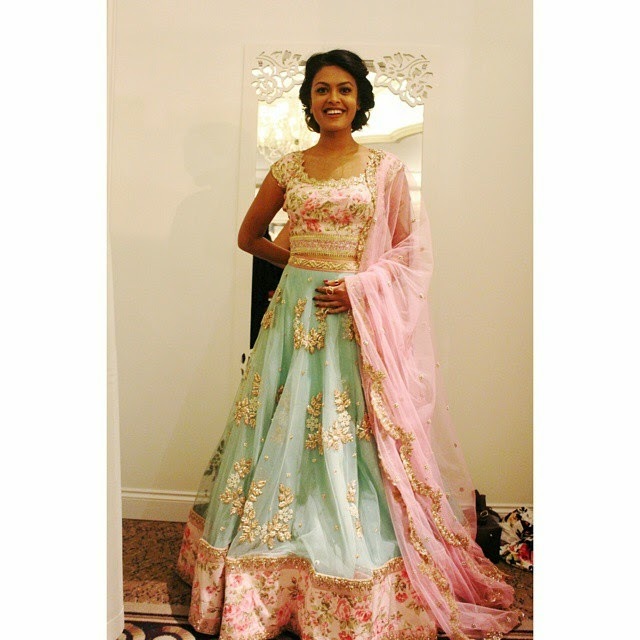 I fell in love with Anushree Reddy's feminine pastel tones in pink and mint with some fab floral prints. I didn't try any of these on, but the lovely Nigar from The Desi Dossier did and here's how it looked - beautiful! 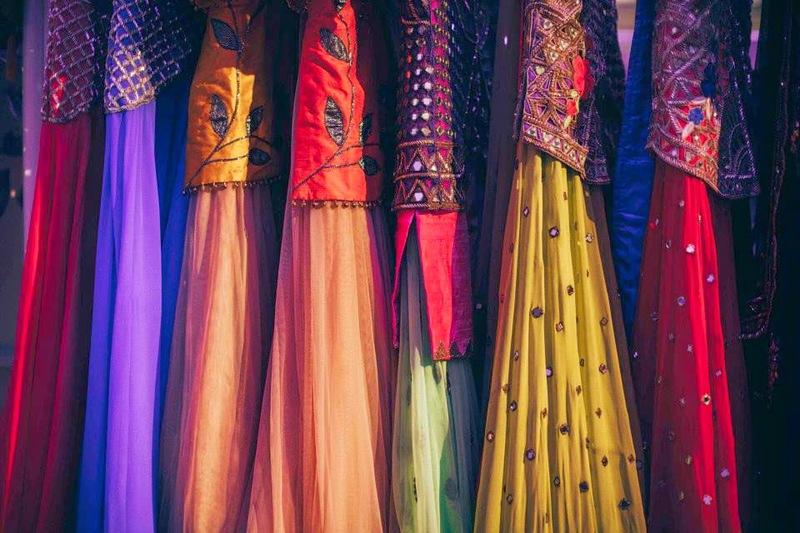 Sonali Gupta's collection was composed more of primary colours - bold yellows, brilliant blues and reds. 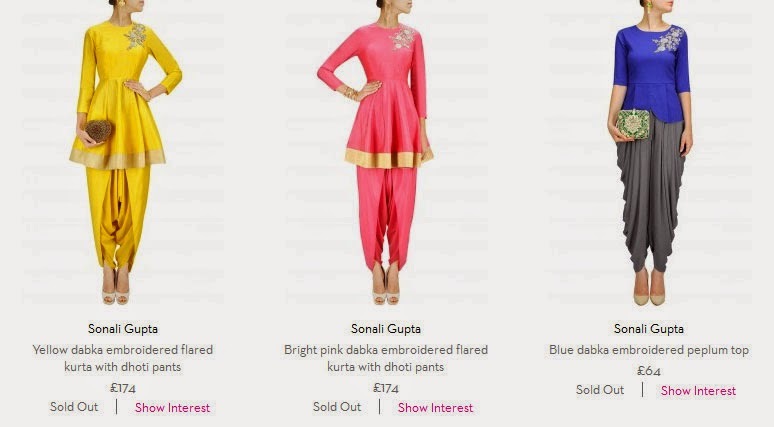 Her pieces on Pernia's Pop Up Shop had caught my eye in the past and I really liked her short dresses worn with dhoti-style pants, which as you can see from the screengrab below, sold out on Pernia's! So...was the event worth the £30 ticket price? 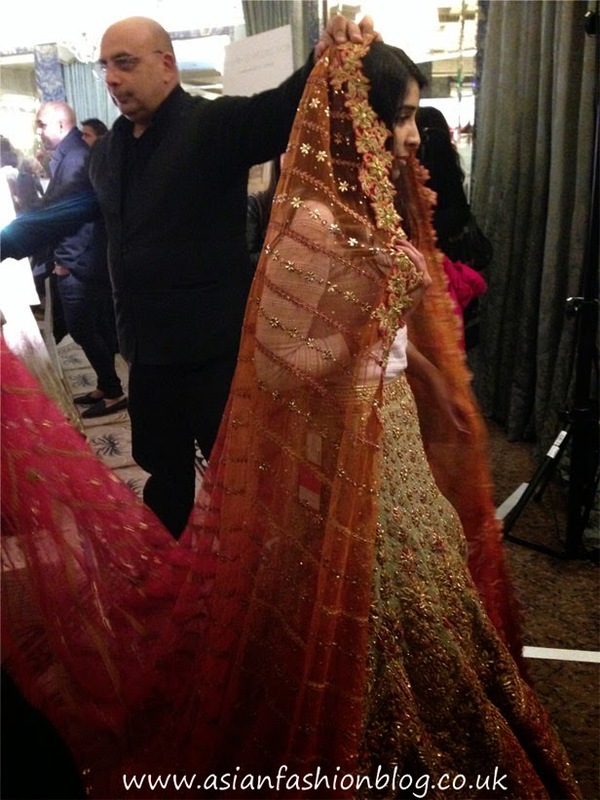 Personally for me, as someone who writes about Asian fashion and loves Indian designers I would say it was worth it. Even though I didn't really make the most of speaking to the designers (and I ended up losing my camera so I didn't even get any good photos!) I just loved seeing the collections up close and being there in the grandeur of it all. 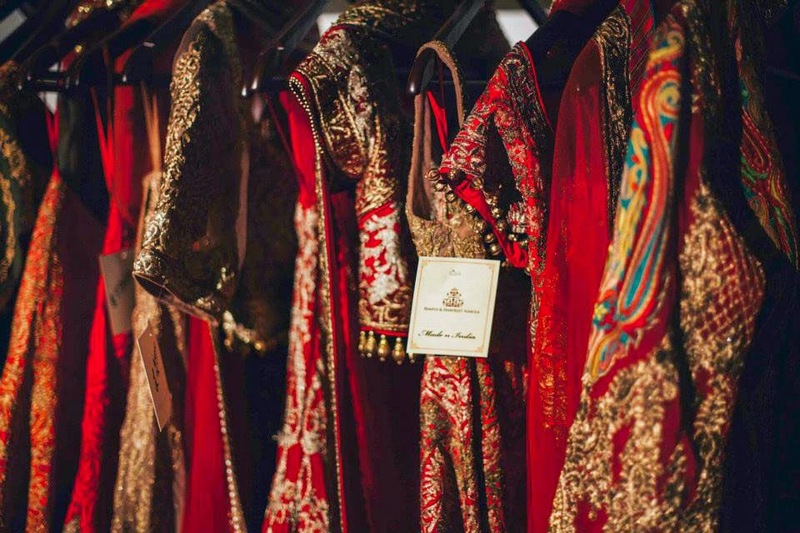 Someone I spoke to about the event commented that it's really difficult to get an appointment with some of these designers, even if you visit their flagship stores in India, so to have them all in one place offering advice to brides is something that doesn't happen every day! Here's my "photobooth" pic from the show!